Bored with Reading Comprehension? Maybe that’s the problem. How topic interest affects performance on Reading Comprehension on the LSAT. Not a morning person? Start behaving like one if you want to conquer the LSAT! How to get enough sleep while studying for the LSAT. 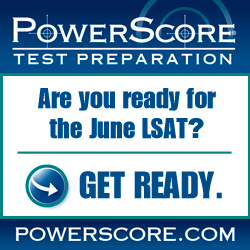 Take a Practice LSAT the Right Way! A step-by-step guide for taking timed LSAT Practice Tests prior to the actual exam. A discussion of the best strategy for answering global and local questions in the optimal order in LSAT Logic Games. Taking an LSAT prep course? Make the Most of It! LSAC has very specific rules and regulations about what you can (and can’t) bring to the testing center on LSAT Day.Read below to see what’s allowed. How to practice with LSAT Logic Games, and how to increase your score with LSAT Logic Games you have already seen. A look at all three sections of the LSAT and how diagramming in each is best accomplished. Diagramming On The LSAT – Is It Worth It? A consideration of how much diagramming and notation is too much on the LSAT, and how to get the best results from your annotations.